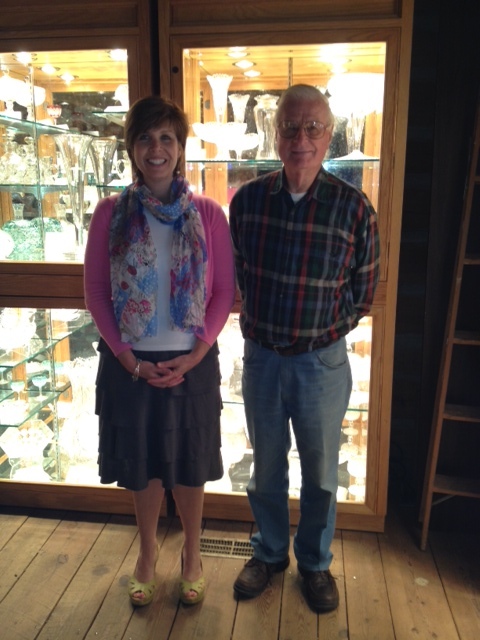 Jennifer Tolle Whiteside visited with George Siek recently to tour the Museum of Cut & Engraved Glass in Highlands. 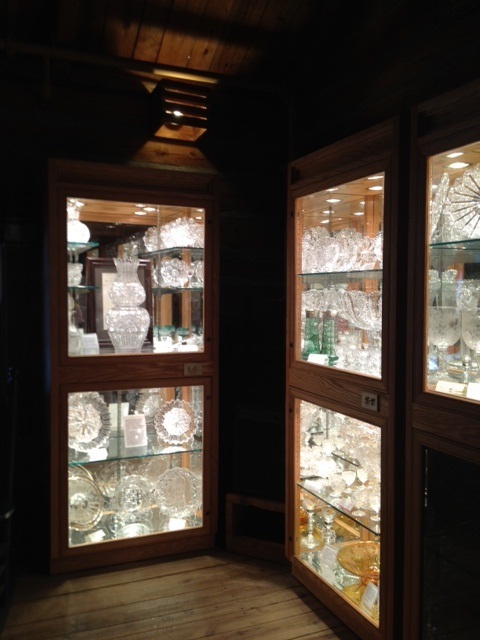 The Museum has built its own endowment with us in order to preserve this precious collection. 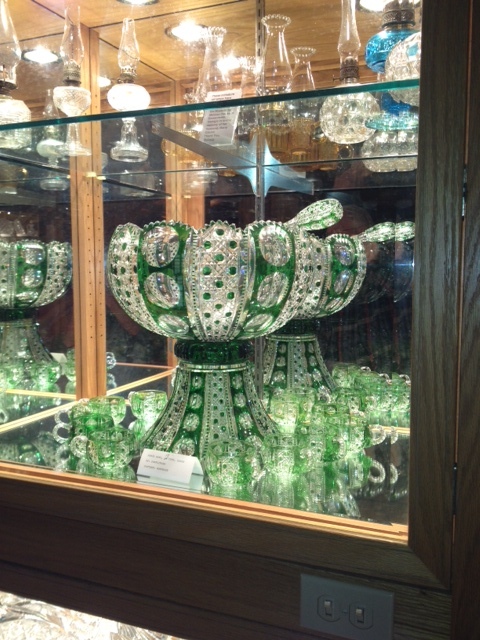 Jennifer and George are shown in front of one of the many cases holding these wonderful pieces of glass. Check out that gorgeous punchbowl! If you are in the Highlands area, I highly recommend a visit!